One of my goals for 2016 was to finish some of the Works In Progress I’ve been gathering. I started with 31, and I wanted to have 50% of that number left by the end of the year, as well as having done 50% of the original 31 WIPs. I have been doing monthly updates. Well, updates for each month, not necessarily monthly. And here is the final update. 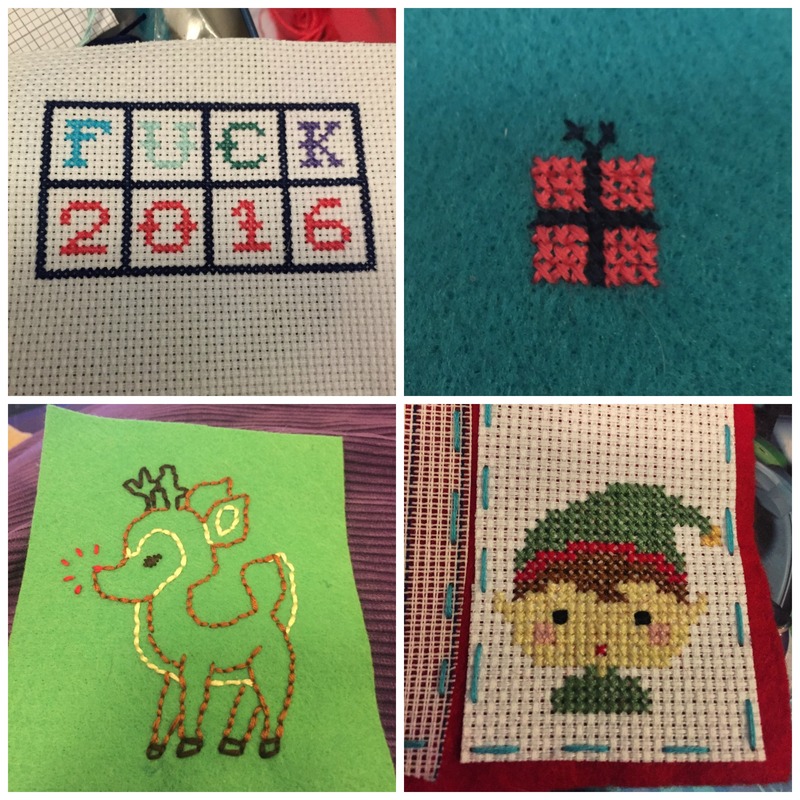 In December I added 16 projects, and finished 15 of them. They were mostly little embroidery pieces. So, to recap my goals. Have 50% of 31 WIPs at the end of the year. 20 is a not quite 50%, but it is a big jump. More importantly, my other goal was less than 50% of the original 31 WIPs, and 14 is definitely less than 50%.